Those who provide senior service programs in Yellowstone County are serving more people, and the demand is going to skyrocket. “We have a silver tsunami happening in Yellowstone County...in the state of Montana,” says Denise Armstrong, the Executive Director of Big Sky Senior Services. She says right now one in five in the county is over the age of 60. That will grow to one in four in the next four years as more the Baby Boomers retire. To keep up with that demand it’s going to take more money. That’s why Yellowstone County is turning to the tax payers for help. On the June 7, 2016 primary ballot voters will be asked to approve a 1.73 mill levy increase. 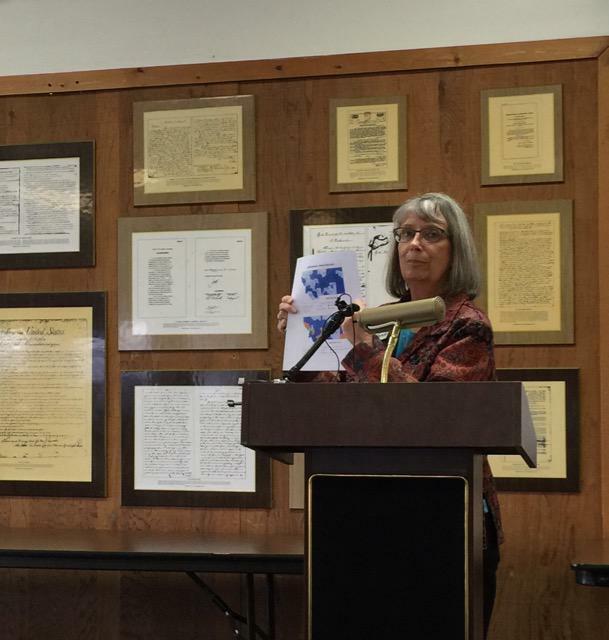 Bea Ann Melichar talking about the Yes for YES (Yellowstone Elder Services) levy on the June 7, 2016 primary election ballot at a recent public meeting in Billings. The money from the levy pays for programs, like Meals on Wheels, that allow seniors to remain in their homes. Bea Ann Melichar, with Adult Resource Alliance, says it’s been a decade since this issue has come before Yellowstone County voters. One of the programs that will benefit if the mill levy increase passes is Meals on Wheels. Bill Brown has been delivering these meals for 25 years. Not only does this program provide a hot nutritious meal but also has someone checking in on these seniors. It is estimated that 1 in 8 Montana seniors will experience hunger on a regular basis, and in Yellowstone County the Meals on Wheels program will increase 33% in the next four years. Other programs that will benefit from an increase in funding includes for Senior Helping Hands, transportation, senior dinner program and other services that help seniors stay in their own home. Those involved in senior service programs anticipate that one in four families in the county will require care giving assistance by 2025. The mill levy increase equates to $4.67 on a $200,000 home, or about $0.39 a month. The ballots for the June primary will be mailed out on May 13, 2016.